Sleeping Bear Press, 9781585363827, 32pp. 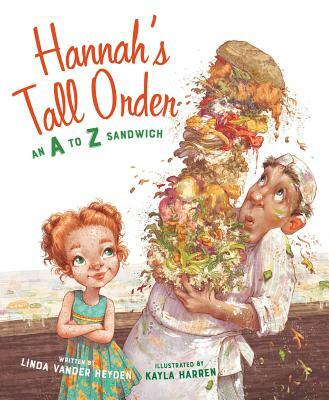 Hannah is feeling just a bit peckish and knows exactly what she wants to eat: an A to Z sandwich on thick whole wheat bread From avocado to zucchini, Hannah's whims throw Mr. McDougal at the cafe into a sandwich-building frenzy. But what happens when Hannah discovers the towering sandwich isn't quite what she ordered? This messy romp through the alphabet will have readers in fits of giggles from beginning to end.